Ultiworld Disc Golf’s coverage of the 2017 Pittsburgh Flying Disc Open is presented by the Butler County Sports Commission; all opinions are those of the authors. Find out more about disc golf in Butler County here. Eighteen months ago, Charlie Goodpasture couldn’t even look down at his cell phone for 30 seconds without being in agony, let alone lace a disc down the fairway. A round of roughhousing after a tournament last February left the Florida pro with a torn muscle in his neck. He gutted through the injury, but as time wore on the numbers he put on the scorecard were only exceeded by his pain level. Even as he played through the events he was already signed up for, he did so without logging any practice rounds, and his play suffered. Now fully recovered and sporting an extra dose of positivity, Goodpasture is in a much better place: atop the leaderboard of the Pittsburgh Flying Disc Open after a sterling round one performance at Moraine State Park. 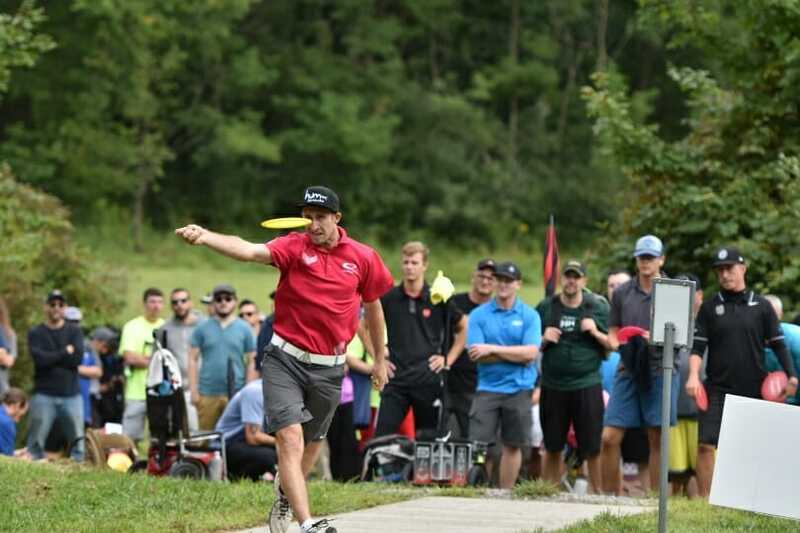 Goodpasture’s 13-under par 53 yesterday has him ahead of a star-studded pack of players — Paul McBeth, Simon Lizotte, Ricky Wysocki, Michael Johansen, and newly crowned Masters World Champion Barry Schultz — who finished with 12-under par 54s, while six more players populate the standings between 11 and 10-under par. Goodpasture’s 1061-rated performance was his best of 2017 and a far cry from his showings at last year’s Memorial Championship and Vibram Open, two events where he played through the injury against his better judgment and ended up missing the cash line. After taking the winter to fully heal, Goodpasture said he felt like he was back to full strength at this year’s Throw Down The Mountain, a Florida staple where he placed seventh. He’s since logged three B-Tier wins and a 21st place finish at Pro Worlds, but yesterday’s bogey-free assault on Moraine found him capitalizing not only a six-birdie streak through the course’s midsection, but also on some good fortune. “This was genuinely the round that I caught the most breaks on in my entire life,” Goodpasture admitted. “Not only was I throwing good shots and playing good golf, but I would throw a drive straight into the junk and it would kick out and put me in the center fairway with a gap…My mistakes were here and there, but I had a putt that I threw right side that went nub, nub, jumped up into the air, and dropped into the cage. I had another one that didn’t even touch chains and, like, toilet-bowled around the inside of it. Neither was Lizotte, who is playing his first sanctioned tournament since the European Open. The German star was more than pleased with the Pittsburgh weather during round one — it “literally felt like playing indoors, no wind at all” — and boosted his 1053-rated round with an eagle on hole 6, a densely wooded, 921-foot par 5 that played as the course’s second most difficult. He followed that feat with a 70-foot birdie putt on hole 7 on the way to a 7-under par front nine showing. Another player in the dozen-under club was also returning to play after battling some mental hiccups. 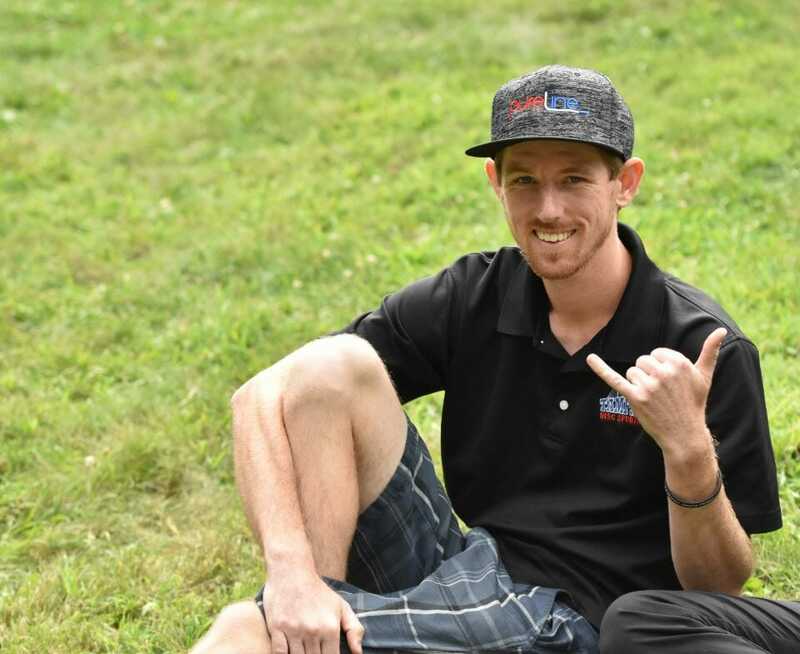 Though his break from competition was half the length of Lizotte’s, Wysocki’s mini-sabbatical showed early dividends as he climbed into that second place logjam. It helps that Wysocki has copious experience at Moraine. He won the PFDO in 2012 and 2013 and logged consecutive 1049-rated rounds there during 2015 Pro Worlds. Plus, his Ohio birthplace is just an hour and a half away, making the venue sort of a home away from home. On a day where conditions were primed for scoring, numerous players took advantage and shot double digits under par. James Conrad kept his momentum from the Idlewild Open rolling with a 1045-rated 11-under that he capped off with an eagle on the par 4, 471-foot 18th, while 22-year-old North Carolina pro Grady Shue held the early clubhouse lead with his 10-down. “I had a friend, Austin Turner, following me around, and he gave me some inspirational quotes and kept my head on,” Shue said. Though the day one scores were low, Wysocki did not expect them to stay that way as pin positions get an adjustment for the final two rounds. Nine baskets will be moved for a net gain of 318 feet in length, which could help those aiming for the lead to open up some gaps. No matter the weather, or if fortune smiles upon him or not, Goodpasture said he would be able to maintain his composure despite being surrounded by “magazine” players at the top of the standings. Goodpasture will get his chance to shine alongside Lizotte, Schultz and Johansen on the 12:10 p.m. lead card, while Wysocki, McBeth, Conrad, and Zach Melton give chase starting at noon. Real-time scoring and updates will be available on PDGA Live and via Ultiworld Disc Golf’s Twitter account. Steve Hill is the editor of Ultiworld Disc Golf. 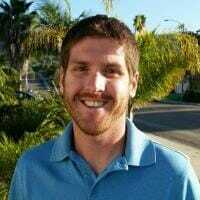 He provides reviews from the perspective of a low-powered player at Noodle Arm Disc Golf, and in the past served as the associate editor for Rattling Chains. Contact him at steve.hill@ultiworld.com or on Twitter. Comments on "Goodpasture Rides Health, Fortune To PFDO Lead"